As we detailed previously, homeless veteran Johnny Bobbitt Jr. served as an ammunition technician in the U.S. Marine Corps. After leaving the Marines, Bobbitt worked as a fireman and a paramedic before eventually falling on hard times. Last October, Bobbitt came across Kate McClure after she had become stranded on the side of I-95 in a bad section of Philadelphia. Even though he was living on the streets, he used his last 20 dollars to buy her some gasoline so that she could get home. To thank him, McClure and her boyfriend Mark D’Amico created a GoFundMe campaign to raise money to help Bobbitt get off the streets. The original goal was to raise $10,000, but the story went mega-viral and the campaign ultimately raised a total of $403,000. But it didn’t… McClure and D’Amico never gave Bobbitt the money. Instead, they took charge of it and bought him the things that they thought he “needed”. The Philadelphia Inquirer later reported that Bobbitt had only received about half of the funds raised. And so, as The Hill reports, Bobbitt sued the couple claiming that they had mismanaged the funds, but the couple said they would not give Bobbitt the money because Bobbit had reportedly become drug addicted again. Bobbitt accused the couple of fraud, alleging that the two committed fraud and conspiracy by taking large amounts of the donations to “enjoy a lifestyle they could not afford” and using the account as “their personal piggy bank,” and asked a judge to appoint a supervisor to manage the money in the fundraising account. 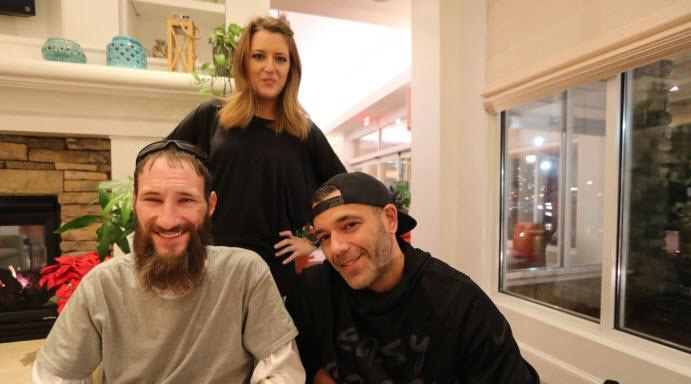 And overnight the verdict came down and a judge on Thursday gave a South Jersey couple less than a day to hand over what’s left of the $400,000 they raised through a GoFundMe campaign for Johnny Bobbitt Jr. The Inquirer reports that Superior Court Judge Paula T. Dow in Mount Holly ordered Kate McClure, 28, and Mark D’Amico, 35, to transfer the money into an escrow account by Friday afternoon and hire a forensic accountant to review the financial records within 10 days. “The funds should be removed from [D’Amico’s and McClure’s control] and frozen,” Dow said during a one-hour hearing. The filing also asks for an injunction that would prevent more of the money from being spent. Given that the New Jersey couple has until this afternoon to turn over the money, and has already blown through it “enjoying a lifestyle they could not afford,” perhaps they should set up a GoFundMe page for that? If Lanny Davis can do it, and receive cash from people, anyone can. Good luck raising the cash to pay Bobbit back!